weover.me: Post #1: Does good need God to be good? Does good need God to be good? Another and more basic way to ask this question is this: does being need Being to be? This is more basic, because all will agree that something, whether a thing or a state of affairs made up of things, has to exist before it can be regarded as good. “Good” is a judgment made regarding a thing or an action, and this involves their being, and that being, I will argue, necessarily entails independent, self-existent Being- and this, as Thomas Aquinas says, “is what all men call God”. And I’m saying “Being” here, because this argument is a purely philosophical one; it does not involve any special disclosure by Being of itself in humanlike form, in other words, it does not involve revelation. This Being is the measure of Good. Let’s step back a moment though from that telescoped conclusion and see how this works. We would all agree that something is regarded as good because of what it is. Even if one wishes to argue a purely relativistic and utilitarian viewpoint, it remains that something “good for me” is good for me because of the way it is, and this, of course, presupposes the fact that it is at all. Classical philosophers call this “the convertibility of being and the good”. For something to be is “more” than for it not to be. And this “more”, infinitely more than nothing, is good in the most basic sense, it is a positive plus. It is what we presuppose when we make further judgments about good in the realm of choice, because we can’t make choices about nothing. Choice is sometimes a tricky business, but the famous ethical quandaries- do we lie to prevent an evil? do we save grandma or baby from the burning house? – aren’t to the point for our present purposes. What I think all would agree on is that what we call good choices all have an increase of being as their goal. Now this shouldn’t be taken in some merely materially augmentative sense, but it’s good to start with that by way of illustration; a tree grows if it gets enough goods, namely the beings sunlight and water, and although the tree doesn’t choose, since it isn’t rational, we can say that sunlight and water are good for the tree, and that the tree’s good is growing to full height and activity. Likewise, when we choose, we are choosing among an order of things, in themselves all good at least as far as they exist, in order to increase our being, which increase is often invisible- greater information- but leads to manifestly visible effects. So we begin with the fact of our existence, which is a touchstone, if not the only one, of “good”, and with the fact of other things’ existence which are also good insofar as they are, and which figure as relative goods with regard to our choice. So far so good. Now let’s sketch out the basics of ethics which I think all participants in this discussion would agree on. The “good” is something both sides agree exist. The “godless” in this discussion certainly aren’t goodless; they aren’t for arbitrarily clubbing baby seals or tripping old ladies in the street. And the measure we all use for “good” is what conserves and increases being (the life of baby seals, the integrity of old ladies’ bones and feelings), in other words, we use being as the measure. Of course, we live in a world where all beings are transitory, and at best reach a height of actuality of what they can be, and then fall off and pass away. In a way, time itself will club those baby seals if they live to adulthood, and likewise it will fatally trip all the old ladies. Although this is an immense question for both philosophy and religion, it actually needn’t detain us, because the basic facts of being and good remain what they are for choice, and time and transitoriness are media of our choices, but not subject to them. Too, there is the huge question of the order of goods and the fact that all these beings, whose existence is good, are busy acting on each other in ways which don’t always look very good. The wolf eats the lamb to increase his own being at the expense of the lamb’s. What’s more, so do we (well, vegetarians don’t, but they would ruefully admit that the habit is still typical of us on the whole), and moreover we knock the wolf out too as an unwelcome competitor in this regard. Again, I think we can blithely skip this for the purposes of our discussion, though it, like temporality, is an immensely important matter. What we can say is that we are able to discern a sort of order and equilibrium in “nature red in tooth and claw”, and too, that people are not ruled by instincts or necessity in the same way animals are, but exercise choice. And it is human choice, the ethical good, which we are debating in this forum. And the principle we have in common is that good choices somehow involve maximization of being, and I think I can go further and guess that it’s safe to say that all of us would hold that this measure of maximization of being is something which transcends, while entirely including, personal or individual good. In other words, there is something in the nature of things, a common measure, which makes it wrong to trip the old lady or to toss a baby into the fire of Moloch. At this point, we’ve looked very briefly at how the convertibility of being and the good works at the very root of choice. So where’s God? Or rather, as I said at the start, Being with a capital B. God has been there all along, in the being part. I’m not saying that all beings are God. What I will say is that nothing comes from nothing. As much as many would like to prohibit the question, the question of how the whole ensemble or suite of beings, that is, the world, got here, when in the world we see that everything that is is caused by something prior, remains. It really can’t be bracketed except by arbitrary policing. Our minds observe that in the whole array of being, all things arise by being caused by something prior, and that the world itself would be an exception is a very unreasonable postulate indeed. Constraints of space make it impossible to closely rehearse the much maligned because much misunderstood classical arguments from causation and causality to the existence of the First Cause. But I’ve already made the most basic point. We have every reason to think that the world is no exception to the order of cause which obtain within it. And given what we know of beings and the structure of being, certain things follow about that first cause, Being with a capital B. For one thing, it couldn’t be inferior to us, since we’re in the realm of its effects- it would therefore have to be intelligent, though what that means for it would be a very different thing from what it means for us. And it would have to be the source of all being’s being, but without the limitations of those beings, since then it couldn’t cause them absolutely. I can cause the coffee cup to move, mating squirrels can cause new squirrels, but these kinds of cause are more modifications of being than causation of being as such. That plus over nothing is the question, and the cause of that has to be non-limited Being, another word for which is “infinite Being”, and judged to unitary, self-existent (on pain of infinite regress), and somehow aware, awarer than we are by a long shot. And this, to quote Aquinas again, is “what all men call God”. We’re not talking yet about anything or anyone which recruits Mesopotamian tribesmen, parts seas, or loves us in a way meaningfully analogous to the best human love we know. We’re just talking about the inevitable framework which our ethical judgments and actions presuppose, whether we are articulately conscious of that or not. But Aquinas is right- given what that reality is, we can, with the appropriate qualifications, call it God. Leave a comment and/or proceed to post #2: An Empirical Approach to the Question. This debate will be between two teams of four. One team, led by weover.me moderator Bart Garrett will argue in support of this thesis – that a higher power is a prerequisite for good in the universe. Weover.me moderator Ezra Roizen will lead a team which will argue that good is a natural phenomenon, and that higher powers are not, necessarily, required. Many argue that a higher power is a prerequisite for a moral universe. By way of example, despite our constitutional separation of Church and State, the official motto of the United States is “In God We Trust.” In Zorach v. Clauson (1952), the Supreme Court also held that the nation’s “institutions presuppose a Supreme Being,” and that this recognition of God does not constitute the establishment of a state church. Others feel that there is no need for a higher power to compel us to do and be good. That, to use the words of Ralph Waldo Emerson, our objective is “to leave the world a bit better, whether by a healthy child, a garden patch, or a redeemed social condition.” Paying-it-forward does not require an almighty supreme being, but instead, it is just an amplification of the kind of love and hope a parent feels for their child. 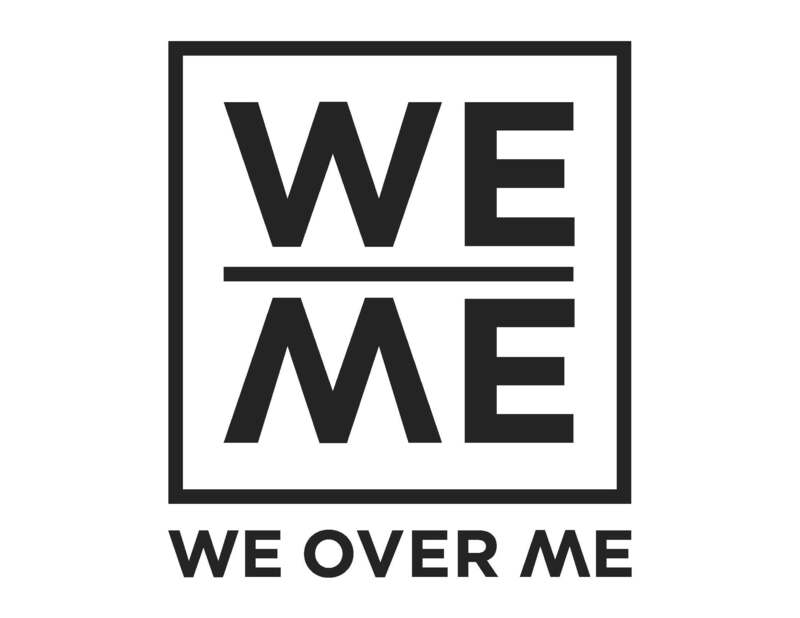 Weover.me feels this is a fundamental issue and its discussion will provide a great deal of insight into the underlying approach we all take to our lives, our community, and our planet. The format for the next event is going to be a modified Oxford style debate. In preparation for the event each of the eight debate team members are going to post their initial thoughts on the topic. We are going to post these blogs in pairs over the next few weeks in buildup to the event at the UC Berkeley Faculty Club on Feb 21st. We invite you to join the conversation on the blog, and to register for the event! And if you do plan to attend the event – please make sure to register as space will be very limited. Sign up for the weover.me mailing list and stay in the loop! Post 1: Does good need God to be good?